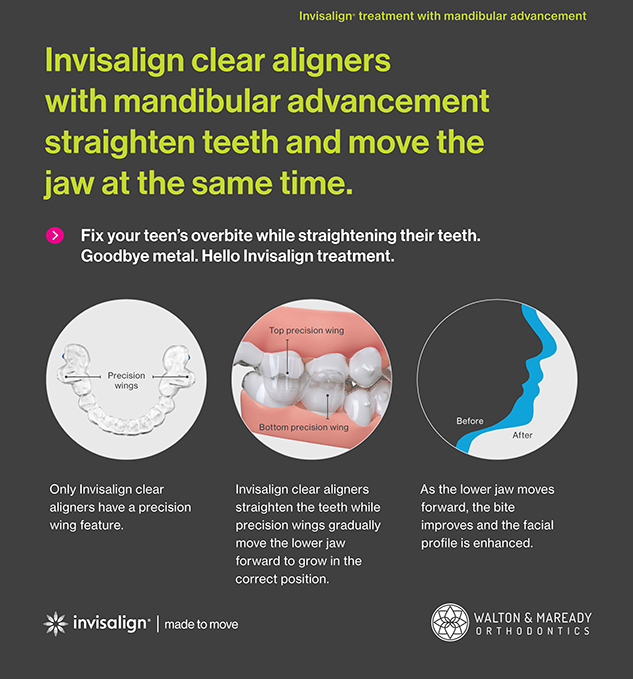 These innovative Invisalign aligners are the first FDA-approved clear aligner treatment for Class II malocclusions, typically characterized by excessive overjet and/or a small lower jaw. 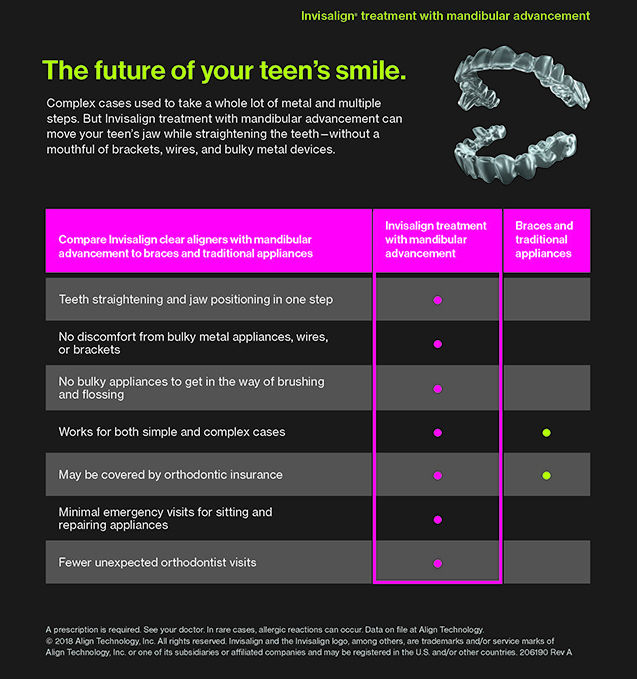 Class II malocclusions historically have been treated using extractions, headgear, braces and elastics, Herbst appliances, and other bulky orthodontic appliances. Now Class II malocclusions can be corrected with clear aligners. 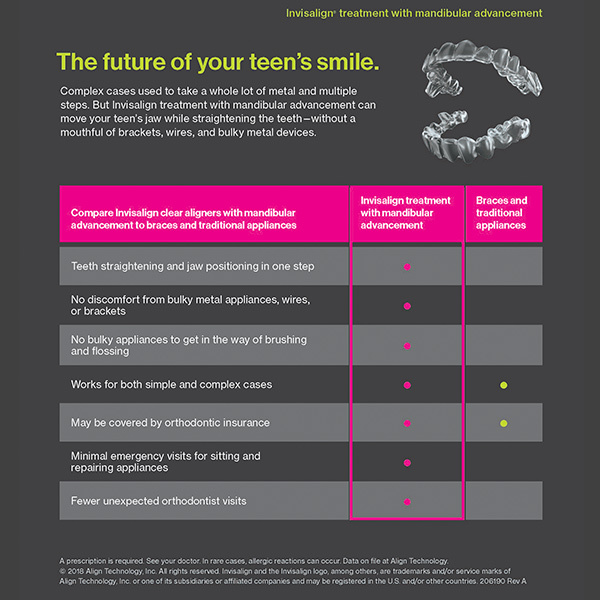 The aligners are crafted from the same BPA-free plastic as standard Invisalign, Invisalign Teen and Invisalign First. However, they also feature precision wings made from the patented SmartTrack® material that are situated between the premolars and first molars. As the patient bites down, the wings engage and hold the lower jaw (mandible) forward, thus eliminating the overjet. In growing patients, the aligners guide the growth of the lower jaw forward to correct the bite. While the wings of the aligners position the lower jaw forward to correct the bite, the aligners themselves simultaneously align the teeth. 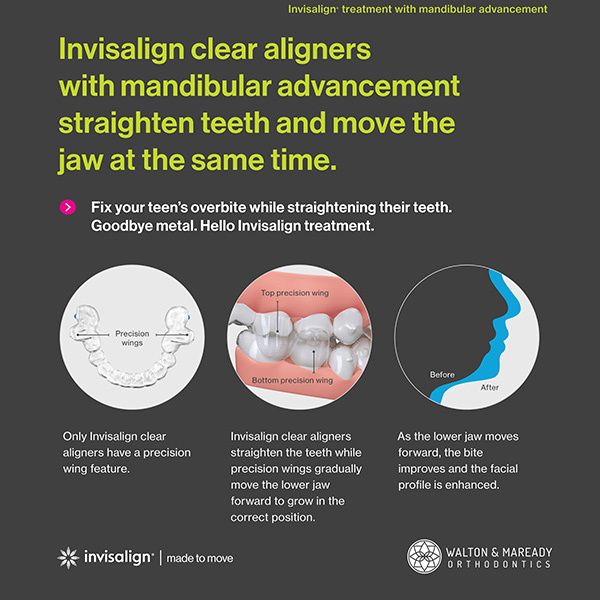 What Are The Benefits Of Invisalign® With Mandibular Advancement?